Jacksonville, Florida, September 7, 2016	(Newswire.com) - ​​​​​The William & Mary Property Rights Project has invited Missouri eminent domain attorney Robert Denlow to speak at the Thirteenth Annual Brigham-Kanner Property Rights Conference, October 20, 2016, in The Netherlands. Mr. Denlow will participate on a panel tasked with addressing the challenges society faces in recognizing and protecting cultural and historical property during times of peace and unrest. "It is a great honor to be invited to speak at this international property rights conference in The Hague, the City of Peace and Justice and seat of international law," said Denlow, principal partner of Denlow & Henry with offices in St. Louis and Kansas City, Missouri. "I am looking forward to participating in a session where property rights are intertwined with the protection of cultural heritage and international law." Since 2004, the William & Mary Property Rights Project has sponsored the Brigham-Kanner Property Rights Conference which is renowned for engaging panel discussions featuring legal scholars, judges, and practicing attorneys. The 2016 Property Rights Conference is presented in cooperation with the Grotius Centre for International Legal Studies of Leiden Law School and will take place at The Peace Palace in The Hague, The Netherlands. It is a great honor to be invited to speak at this international property rights conference in The Hague, the City of Peace and Justice and seat of international law. I am looking forward to participating in a session where property rights are intertwined with the protection of cultural heritage and international law. Annually the Conference awards the Brigham-Kanner Property Rights Prize to an individual whose work has contributed to the awareness of the fundamental role property rights play in safeguarding individual rights and freedom. The Property Rights Conference and Prize are named in recognition of Toby Prince Brigham and Gideon Kanner for their lifetime contributions to defending the right of private property ownership, their efforts to advance the constitutional protection of property, and their accomplishments in preserving the important role that private property plays in protecting individual and civil rights. The 2016 Property Rights Prize will be awarded to Peruvian economist Hernando de Soto, President of the Institute of Liberty and Democracy (ILD) headquartered in Lima, Peru. For more than 35 years, Robert Denlow has concentrated his law practice on the representation of Missouri property owners in eminent domain and condemnation proceedings, inverse condemnation claims and land valuation litigation across the state. 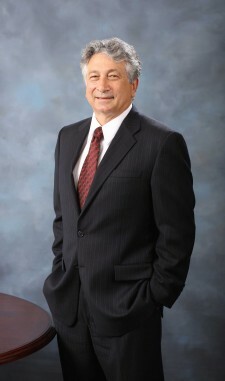 His clients have included national, regional and local Missouri business owners, franchise operators, farmers, residential associations and private landowners in cases involving the Missouri Highway Commission, the Metropolitan Sewer District, Missouri American Water, metropolitan redevelopment authorities, oil, gas and electric transmission lines. A frequent lecturer and author on issues relating to condemnation, property valuation and tax increment financing, Bob is regularly invited to speak before lawyers, trade groups and private landowners and has written a number of articles on topics relating to eminent domain law. 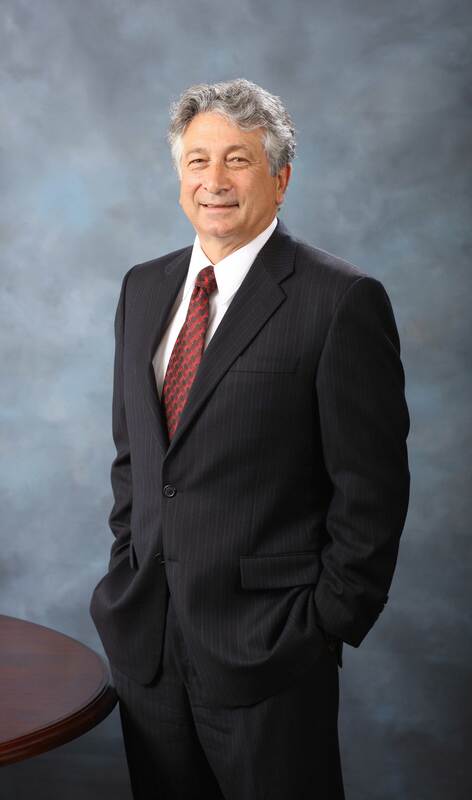 He has been recognized by Best Lawyers in America® for his eminent domain and condemnation practice and was honored by Best Lawyers in 2013 as a St. Louis Lawyer of the Year for eminent domain and condemnation law. Bob is also the Missouri member of the Owners' Counsel of America, a nationwide network of eminent domain and property rights lawyers dedicated to defending the rights of private owners. The Owners' Counsel of America (OCA) is a nationwide network of experienced eminent domain lawyers dedicated to protecting the rights of private property owners large and small, locally and nationally, and to advancing the cause of property rights. The condemnation attorneys affiliated with OCA are in private practice in nearly every state and represent private owners against federal, state, and local governments, utilities, transportation and redevelopment authorities and other agencies that may be armed with eminent domain power. For more information or to locate an eminent domain lawyer in your state, please visit www.ownerscounsel.com.